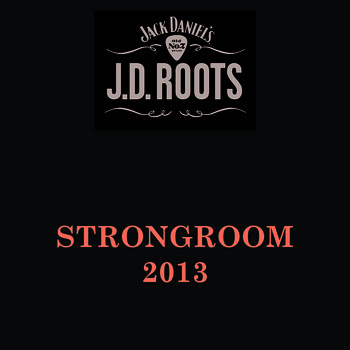 When thinking of Jack Daniels, music is not the first thing that springs to mind; yet JD and Strong Room studios in London have been hard at work attracting fresh music from across the country in their Jack Daniels Roots Competition 2013. Winners from across regions were then invited to record with producer Tony Platt (Bob Marley, AC/DC amongst others) for a JDRoots EP and show case their talents. The four bands that made the cut were; Mysterians!, Young Peculiar, Coldharbour and Nightflies. Manchester ‘sleaze-ska’ 5-piece, Mysterians! open proceedings with the beautifully catchy ‘Mr Famous’. A smooth and haunting mix of pop, ska, surf and reggae, with rather outstanding vocals from singer Lauren Brooks, this track is humourous, tragic and a perfect opener, setting a high standard for this EP. Sheffield based regional winners Young Peculiar follow suit, with the mellow and truly glorious ‘Who You Are’. Again the beautiful female vocals really hit the spot and alongside the simple instrumentals, this is by far the stand-out track of this collection. It is from here that the standard dips and the second half of this EP becomes less exciting and more run-of-the-mill. ‘Echo’ by Coldharbour, is much less imaginative than its predecessors, with a sound that is much more student band, than rock stars. Finally, Nightflies wind this short collection down, with ‘Our World’ – a track reminiscent of the 80s, with its The Cure-esque vocals and goth-rock melodies, all of which harmonise splendidly to end this EP on a positive note. Overall, this is an EP of mixed strengths and weaknesses. This compilation has provided a platform for artists and highlighted some real music gems. By far the most outstanding are Mysterians! and Young Peculiar, which if there is justice in the world, will go very far indeed.